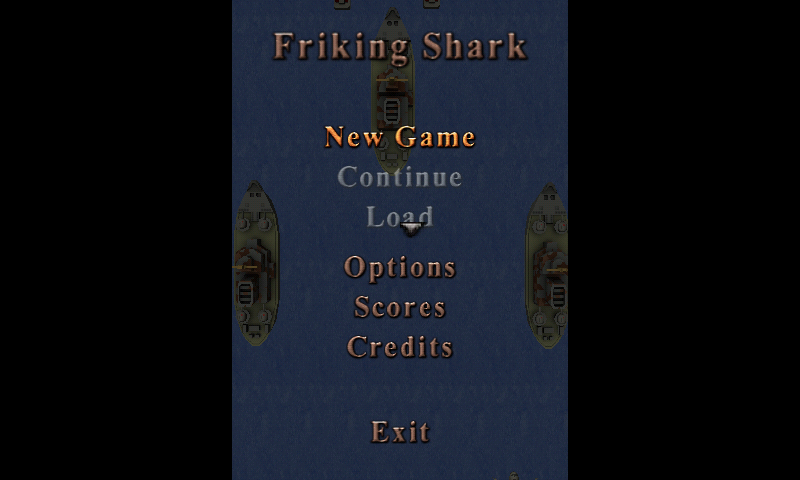 Friking shark is an OpenSource C++/OpenGL/OpenAL remake of the arcade game Flying Shark. 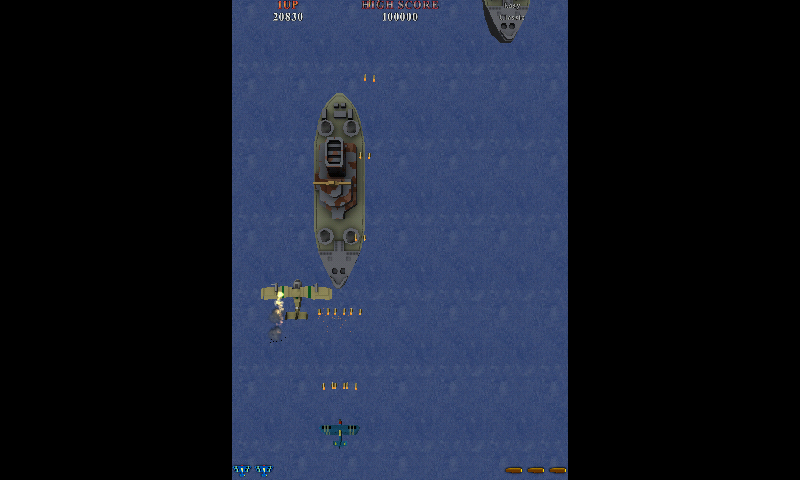 Here is Friking Shark, an OpenGL/OpenAL OpenSource remake of the arcade game Flying Shark. 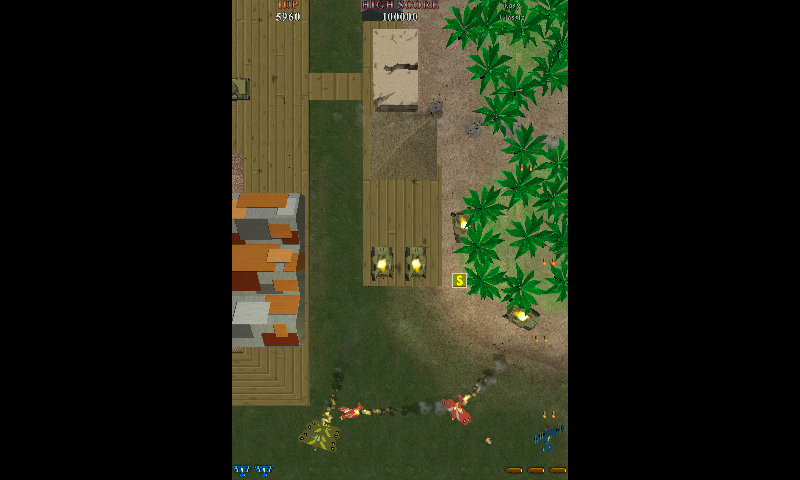 The game use glshim, and speed is fine on Gigahertz model (and can be a bit slow on CC).Light effect are present, but not the shadows (they are shader based). The levels are recreated quite faithfully, but all with 3D Model. 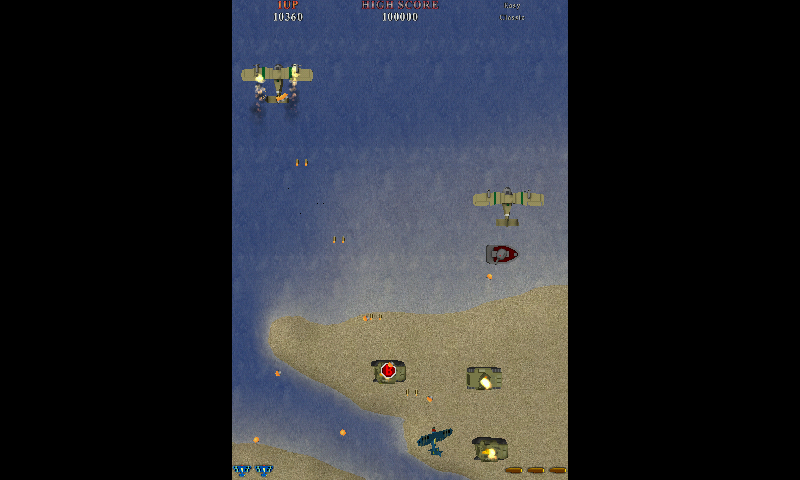 The game has been designed for large screen (res of 1024x768 with a large diagonal), so most text are difficult to read but the game is playable, and the bullets are well visible on screen. * Reduce minimum FPS from 20 to 10. For the curious, sources are on my github account. The last couple releases have been working perfectly. This is a great candidate for c4a if you somehow run out of projects!